One of the popular gifts of this holiday season is the mobile cameras that fits on a helmet, skateboard, bike, or ?? and films as the person participates in a sport or hobby. I've seen these on the shelves in my Costco, and I've seen the ads on TV (which, of course, never mention Costco as a source), so, as a public service, I'm letting you know that Costco has these. I saw two types. 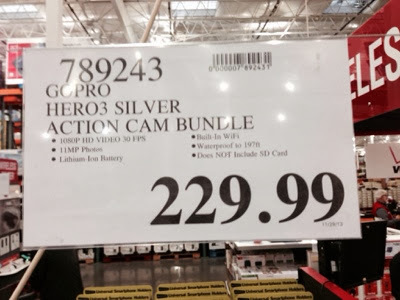 Costco has the GoPro Silver Hero3 model for $229.99. 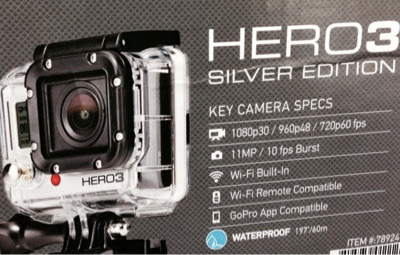 GoPro is the one much advertised on TV. 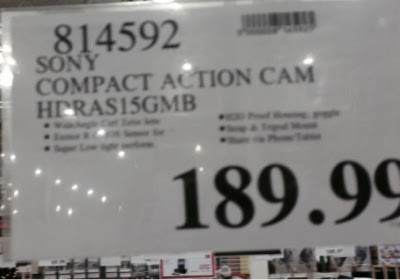 My Costco also sells a Sony Action cam for $189.99. I think these would be great for an active young family, and only limited by imagination. Filming sports, holidays like Halloween or Christmas, I think these could be fun. Bob and I - probably not action camera material.